This weekend my family and I visited the Pettigrew Tea Rooms Cardiff as an early birthday celebration. I love tea rooms and it’s been a while since I’ve been to Pettigrew, so I was very excited to enjoy afternoon tea here with some of my loved ones for a special occasion. 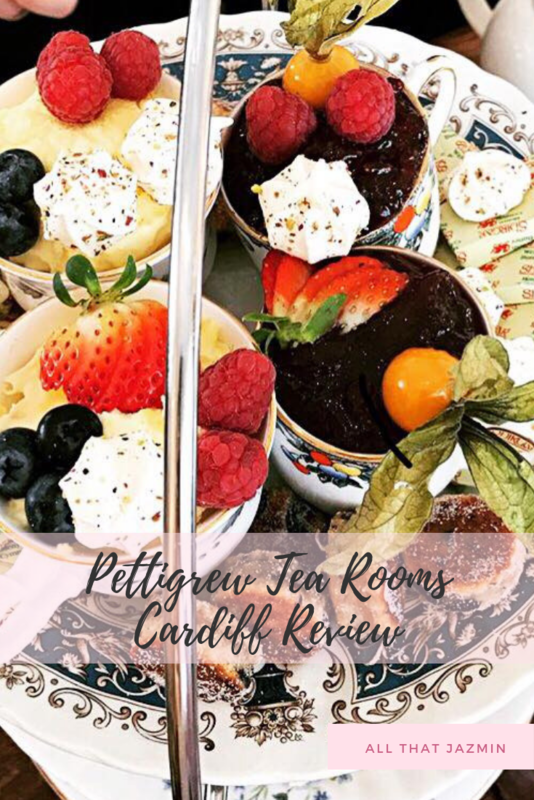 Located in the gatehouse of Cardiff Castle at the entrance of Bute Park, Pettigrew Tea Rooms is a proud independent tea room which boasts a Victorian period theme throughout the entire location whilst offering some of the best cake and afternoon tea experience in all of Cardiff. As this was a party, we booked for a group afternoon tea. We were greeted by a member of staff before taken upstairs to be seated. 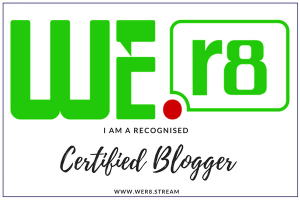 We were given menus to choose our drinks from – which included a variety of teas as well as coffees and hot chocolate for those who would prefer – before our platters with scones and sandwiches arrived. Typically, when ordering afternoon tea you get a choice of sandwiches, but for a party booking you are offered a variety of different sandwiches. Having vegetarians in our party was no problem and was discussed during our booking which made sure that the veggie and meat sandwiches were separate and ensuring there’d be enough for the amount whose requirements were needed. Presentation is important at Pettigrew. 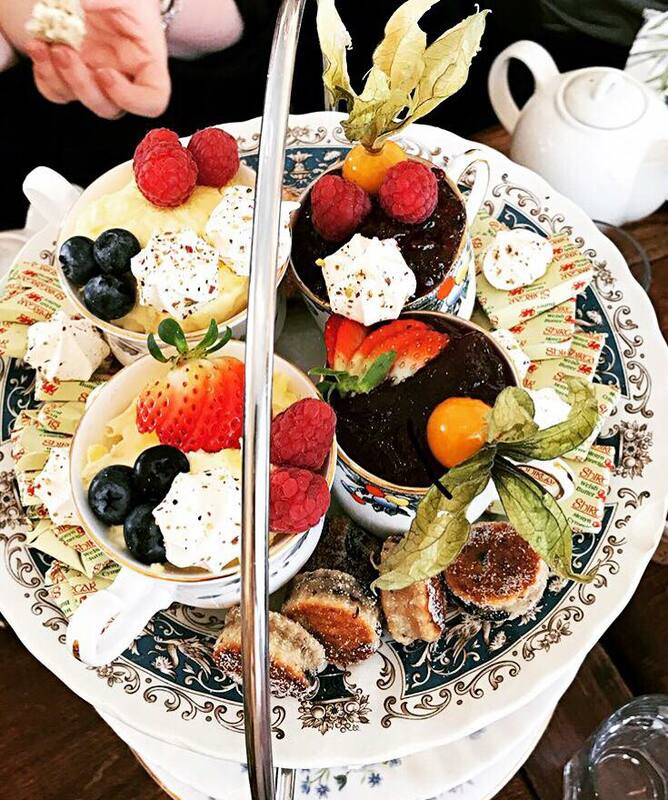 Our two towering platters were full of carefully placed treats which really caught your eye and made mouths water with excitement to tuck into this delicious feast. The best thing? The food tastes as good as it looks, if not better. Everyone was about to pick out a number of sandwiches as well as each have a scone (with either plain or fruited as an option) and some fresh fruit to accompany. 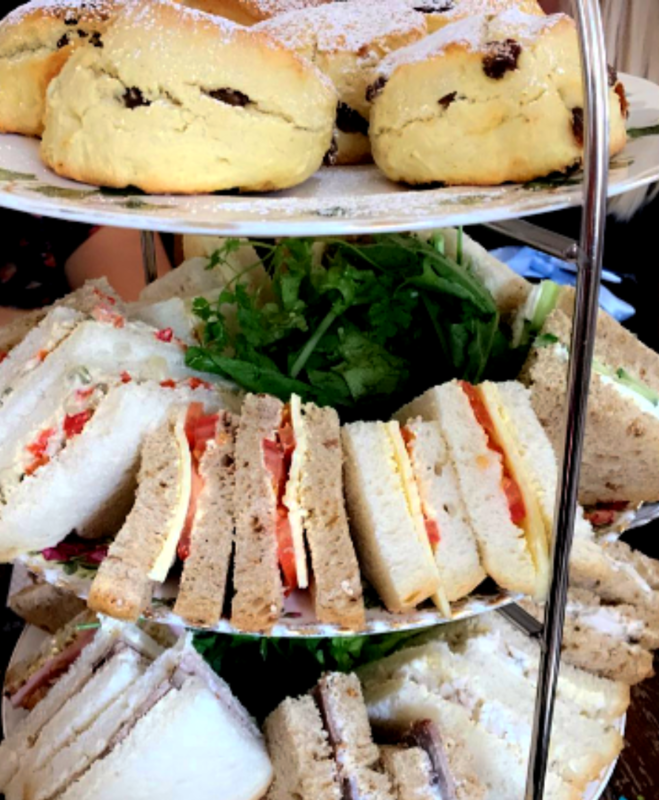 The sandwiches were elegant with soft and light textures, fit for the high standards of the British expectations while the scones were very filling with the creamiest of cream and fruitiness of jam, truly going hand in hand with the cup of tea. A menu was then brought up with a large variety of cakes to choose from and it definitely lead to us taking a while to decide what sweet treat to settle on. After much consideration, I decided on the chocolate and beetroot which, yes, you’re probably questioning, but I can promise you it isn’t as weird as it sounds. You can’t taste the beetroot but it tastes so delicious. 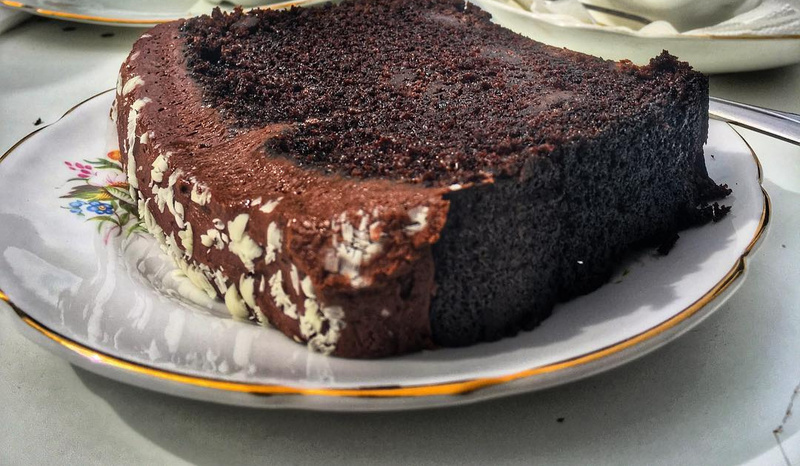 It’s the right level of moistness and definitely very filling. Again, the perfect accompaniment to a good cup of tea! If you’re celebrating a birthday, you are also very welcome to bring in a celebration cake, which is what we did (though we absolutely took pieces of cake home because we were all very full after our feast!) If this hefty afternoon tea ends up being a bit too much for you to handle, worry not about waste as you are offered boxes to take both sandwiches and your cake slice home with you, so you do get your money’s worth, even if you decide to take it home to snack on later. This was actually perfect as my gran was too poorly to attend, so we took the sandwiches that were left for her and some cake in a takeaway box for her to enjoy at home. The price of an afternoon tea for one person is £16.45 and is genuinely great value for money. 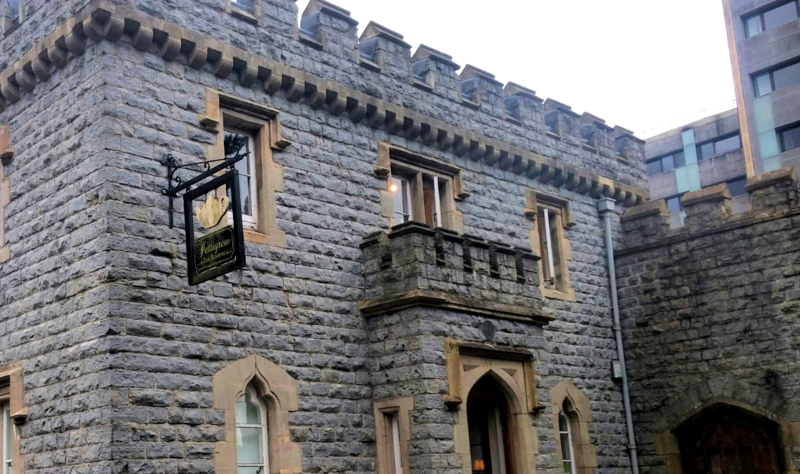 There are a number of other venues who offer a very similar select menu for twice the price and the fact that Pettigrew is located in the historic landmark that is Cardiff Castle, this is definitely worth every penny. 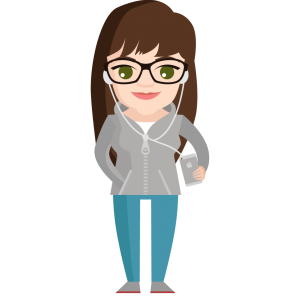 It’s as filling as a meal in a restaurant but a real nice change. 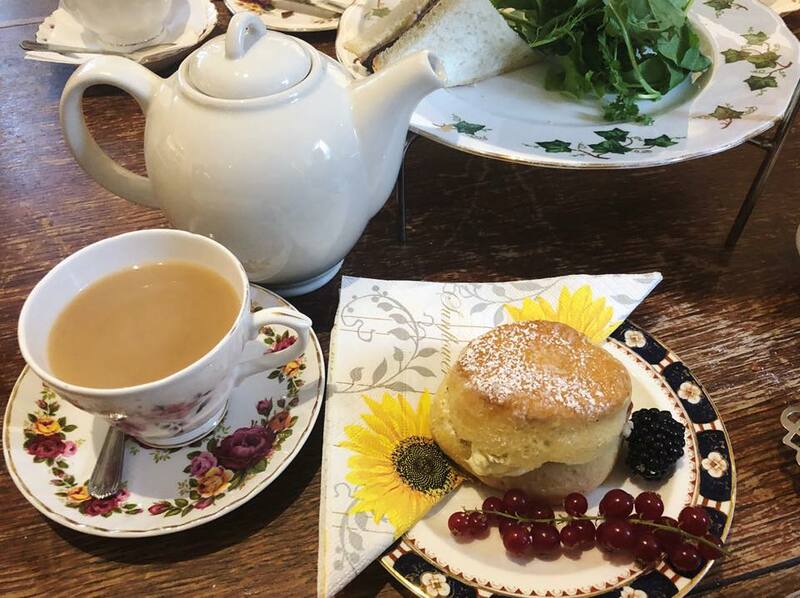 Whether you’re a tourist visiting or a local, a trip to Pettigrew Tea Rooms is an absolute must. There’s even a gift shop where you can pick up local Welsh produce or tea-themed gifts. I’m going to go back to the gift shop specifically in the very near future! If you’re not going as a party and someone doesn’t fancy afternoon tea, there’s also a great menu full of other meals and delicious treats for you to devour. Because of its popularity, I highly recommend you book in advance as there has been times where friends and I have hoped to pop in but it’s been so busy, particularly with afternoon tea. Would you like to visit Pettigrew Tea Rooms? Have you ever been? Are you a fan of afternoon tea?